“Miserable” event is on for Sunday, Feb 03. Talk to Emma (City of Saratoga) for a map with geographic boundaries for Quito/WV, Division between Quito and WV. Include the “island” between Payne and S of Latimer. Include Sunland Community. Michael Taylor is retiring! Crystal Bothelio, the asst city manager, could be filling in for Michael.main features, schools, etc. Is there a pandemic coming? Talk about what to do during a Pandemic. 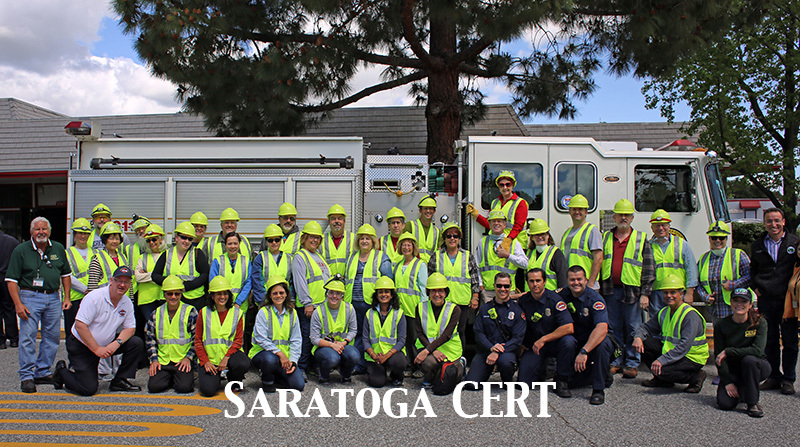 CERT Academy Training schedule for Saratoga is available. Pick up print copies from Joan Pisani. SCC Fire Dept is offering many refresher CERT training programs. Chuck was in the Navy for 30 years, and worked with CA (FEMA, US public health services) on disaster preparation. Making available Navy or Marine Corps assets for civilian use. National Pharmaceutical Stockpile – strategic stockpile of pharmaceuticals throughout the United States – to be unlocked during pandemics – all administered thru US public health services – WV College is a shelter to be used as a staging point – a cache in Sacramento. Chuck will set up a “Shelter Exercise” in Marchin conjunction with Nikki Rowe Executive of SV Red Cross. Date TBD. Chuck has developed an ERP for Cox and shared it with other divisions to clone and use. -Pets: How to deal with stray and displaced animals?